At the age of 12, Patch completed his first 50 mile bike ride. He got in a lot of trouble with his mom, but he fell in love with the freedom of cycling. Patch continued on his bike for transportation to numerous teen jobs and later, living without a car; even dated on bikes. His dates had to own a bike. Patch has now been cycling over 49 years and has competed in numerous amature multi-sport adventure races. As an adult, Patch enjoys exposing others to cycling adventures by organizing many “off the beaten path” club rides. The routes usually have a twist (Mix of tarmac/dirt roads and/or copious amounts of vertical). Living in Colorado there is no shortage of either. After spending 14 years with mountain rescue in Colorado, Patch met his wife (Jules) on a backcountry ski hut trip. They were inseparable from first site, spending 17 nights in backcountry huts that winter. Patch and Jules said their vows and rappelled off a 140 foot natural rock arch. In 2015, after many injuries, Patch replaced his right hip. He literally could not walk across the parking lot before surgery. Playing soccer, Patch lost sight in his left eye after being kicked in the eye. ….origin of his nick name. In August 2017, Patch and Jules competed as a pair in a 521 mile ultra road bike race, (HooDoo 500), setting a course record for a married couple, with a time of 33 hours and 12 minutes. This success leads them to a spot in TCRNo6. Patch says; “After the HooDoo, I feel we can accomplish anything TOGETHER. At the time of entry into TCRNo6, neither Patch nor Jules have bikepacked. In training for the Transcontinental Race, they will bikepack for the first time. Richard Abraham is a writer who specialises in cycling. 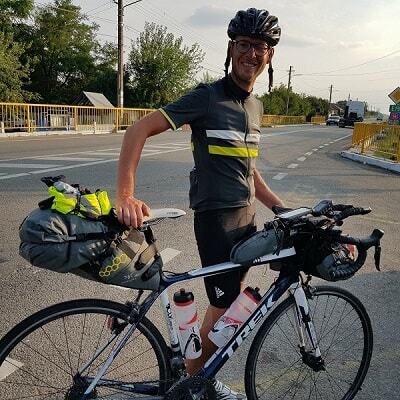 Road riding became a passion after a tour through France as a teenager and, having dabbled in a bit of time trialling and road racing, Richard loves to ride for adventure and travel. This is his first ultra-distance race. 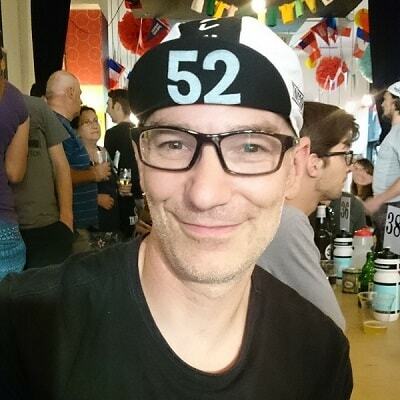 A former website editor at Rouleur magazine and features editor at Cycling Weekly magazine, Richard has reported from all the major professional cycle races and two Olympic Games. 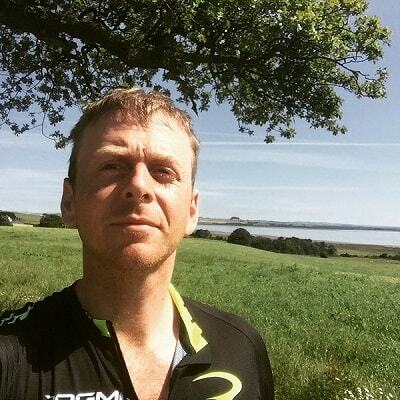 He is now a freelance writer and occasional cycle guide whose work has also appeared in Soigneur, Procycling and the Observer. Off the bike he likes growing his own food, brewing his own coffee, baking his own bread, and travelling whenever and wherever he can. Richard is raising money for Launchpad, a charity in Reading working to prevent homelessness and support people in the town without a home. 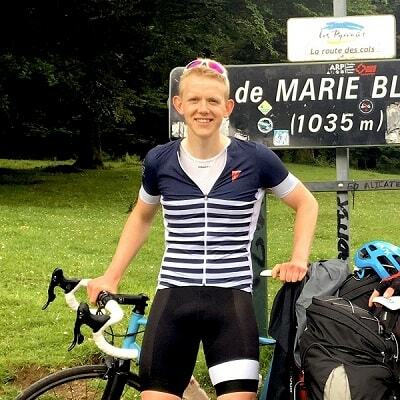 A club cyclist from the age of 13 with a passion for mountains, exploring and touring. Born in Lancashire and living in Yorkshire, the Dales have been an enduring feature. Competition and racing came later in life with his first road race at the age of 46, gaining 3rd Category in that year. He is a regular Cyclocross competitor in the Yorkshire league (4th V45 in 2016) and finished the Three Peaks race 4 times with a best result of 3h49m. Richard has competed twice in the 7 day Transalp Race with an 8th V50 result in 2017. Now riding with albRosa CC in Leeds, he is the Cyclocross club Captain and has organised races within the YCCA series. Ultra-racing is a new discipline for Richard who now aged 52 will call on his many years of cycling experience to successfully compete in TCRN06. London bike commuter, ex-triathlete, now riding too much for my own good as its so much fun! I cycled as a kid, but started cycling properly in the 90s on a cheap MTB doing epic (so I thought at the time) rides around the Chilterns. I'm a long term London cycle commuter - 25 years. 10 years ago, I fell into adventure racing, then moved on to triathlon and started road biking with a vengeance as I moved up to Ironman distance triathlon. I embraced arm warmers and discarded baggy shorts. I was getting moderately good at ironman until my knee broke, (too much running on a historic rugby injury). I then found the transcontinental in 2014, completed tcr#3 but was a day late so I missed the finishers party. I am back for more this year, (despite being psychologically scared by encounters with Turkish dogs at midnight in a forest, and physically scared with nerve issues in the hands). I aim to make it for the finishers party. I am 50, and trying to grow old disgracefully. As a child, I was a huge car fan. Cars seemed to be the ultimate expression of freedom; whenever and wherever you wanted to go, you just jumped in your car and went. At 8 years old, driving was not an option, so the bicycle was a ticket to freedom. Fast forward a few years, and having spent some time hill walking and taking part in the odd triathlon, I found myself searching for something that combined adventure and a challenge that would 'cleanse the soul'. The Valleycat races ticked that box, and at about the same time I came across an article on the internet covering TCR No.3. The premise behind Valleycat, TCR - and bikepacking more generally - seemed to somehow address a combination of needs had not been satisfied elsewhere for a while. Given the distances covered and the self-sufficiency element, it demonstrated that freedom is achievable via relatively simple means, and that the world really is your oyster! I am Roberto Baldassi, I come from Pordenone (Italy) and I work as a foreman in the road construction sector. I was born on December 16, 1969 and since I was a child the bicycle has always been the companion of my games. Even today with every pedal stroke I relive that magic innocent of childhood. Like most children I chased the ball for several years and I rediscovered the bike only many years later, thanks to the support of my life partner, who was a race judge in the cycling field. Since then I have participated in several national and international cycling events in the off-road sector. Subsequently I moved to the street world realizing various national and international marathon in long distances. These include the Maratona dles dolomites, the GF Sportful, the GF Pinarello, the Ronde van Vlaanderen, the Prudential Ride London and the GF Nove Colli, to remember some of them. In recent years I have started to see the bicycle differently. No longer with a competitive spirit but as a real traveling companion with whom to experience adventures. This change of perspective is what pushed me into this 'lucid madness' called the Transcontinental Race. As an Architect, I’m working in architecture and urbanism fields since a few years, and I got strong connection with the territory. In 2016, I shifted my priorities and decided to get back closer to my first ever passion, cycling. I did my first long bike tour, a 1000km journey through Italia, Slovenia and Croatia. In 2017, A second bike tour lead me thinking about ultracycling and I competed in my first ultra-race in Italy, then a second one in Oman and one more recently in Corsica. I think that the Transcontinental Race is something else, something more personal and adventurous, a journey through various conditions and territories by yourself, by bike. And I think that cycling is the “right” speed for this; while walking allow you to go deeply into one territory and that driving is just consuming them, cycling seems to be right in the middle, a perfect attitude. This TCRNo6 will be my first Transcontinental Race and I'm as excited as scared! Since I discovered it, I'm dreaming of it, now let's see if my previous adventures can sustain and help me for such a challenge. Discovered the pleasure of cycling by offering one bicycle to my girlfriend and seeing her commutes give her a feeling of freedom, happiness and a constant smile and freshness day and day after day like there is no Monday! Got myself one to inject the same viral dose of happiness to myself. Few months later after switching to single speed I made a report for tv about pedal bike messengers from Brussels and fell in love with the idea of messenging, got two weeks later by the company and dogged a bit more in my love relationship with the bike, and then thanks to the boss Kardama I discovered the art of Sunday’s road cycling in the Belgian country side. Got a ritchey road logic through the messengers company sponsorship and started to ride more and more, and more and a little bit more. Sebastien Nolens is a Belgian adventure cyclist currently living and working for Deloitte in Spain. He started exploring his surroundings on a bicycle as a child, always curious of what was behind the next hill. In his 20s and early 30s, he rode straight lines from Belgium to almost every extremity of Europe, in order to "know" what the continent was like. Hugely unprepared, and very unsupported. Things got more serious when he read about the Transcontinental Race. He got a ticket to participate in TCR5 but got a severe hernia and needed surgery 4 months before the race. Now, one year later, he is fully in shape again. He moved to Spain for work and could train all Winter through in the mountains around Alicante. He completed three BRM Brevets this year (200, 300 and 400). Sebastien will race TCR6 with the objective to arrive long enough before the finisher's party to take a shower (or two). I grew up as a teenager racing Cyclo-Cross but switched to Mountain Biking as it became popular in the 90s. I spent 23 years in the British Army with multiple Operational Tours. 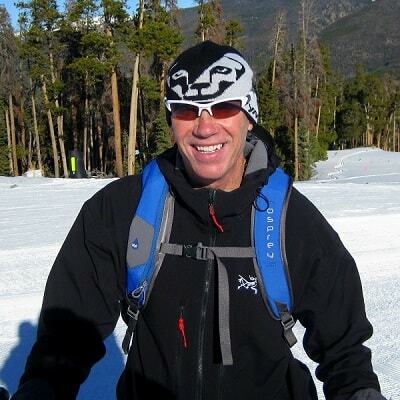 I took part in many running and orienteering competitions throughout my military career including 50 & 100 mile Ultra marathons and Mountain Marathons. I took up cycling again a few years ago due to constant running injuries. Although I've raced many times I am now mostly a coffee drinker who enjoys cycling. The longer Audax rides seem to suit my strengths - stubbornness and an ability to suffer. I am married to Nicky (14 years and counting) and have two wonderful children Amber & Joseph. Due to my military career I am a pensioner at the age of 44 which allows me to have quality family time and some occasional bike rides when the sun is out and the wind is kind. TCR No.6 will be my last great adventure (well that's how I sold it to the wife to ensure she was on-board). Almost everybody in the Netherlands uses a bike as a means of transportation. I'm no different. During high-school I cycled daily 15km to school and back again. This was followed by a more sedentary life during university where I only used the bike to get around. I only got my first roadbike until after university. After that things gradually escalated. I did a couple of cycling trips in France and Italy and some weekend trips. The multi-week trip I did from Amsterdam to Spain (on a fully loaded steel touring bike) really got me hooked on self-supported cycling adventures. After that experience I took part in my first bike race: TCRNo5. Unfortunately I had to scratch from TCRNo5 3500km in. This time around I take with me the experience gained in 2017 and aim for a finish hopefully well before the finishers-party. I live in Amsterdam, where I (unsurprisingly) get around by bike. Next to cycling I've taking on running during winter to keep fit. Prior to becoming an excitable cyclist, Stuart White was a Rollerderby Coach, known only as Barry Fight. These days, the resident of Birmingham UK spends the majority of his spare time on two wheels, racing, adventuring and even commuting. With the exception of a run-about BMX, life had been pretty bikeless since his youth, until he hit mid 20’s and realised he was seeing the foundations of a fairly impressive gut being laid. A mountain bike was bought, then coast to coast was done, then End to End, then some other rides, until finally, the fear of drop handlebars was overcome and a road bike seemed like a good idea. Things started to get out of hand from there.